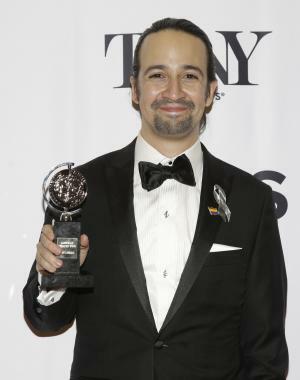 Sept. 29 (UPI) — Lin-Manuel Miranda is working on a new song for Puerto Rico that will help raise money for relief efforts in the country following Hurricane Maria. The track set for release on Oct. 6, will feature a number of artists from Puerto Rico. “To every artist, I’ve said, ‘Can you help out on this song?’ And they said yes. Without even hearing the song, everyone’s joined in,” Miranda said. Miranda teased the track on Twitter by sharing videos featuring singer Ruben Blades and Hamilton star Anthony Ramos lending their vocals to the project. “Without giving too much away,” he captioned both clips. Miranda’s upcoming song comes as Beyonce has released a remix to J Balvin and Willy William’s hit “Mi Gente” which will also help with relief efforts in Puerto Rico and those in Mexico affected by the 7.1 earthquake. Additionally, Jay-Z and his music streaming service Tidal are set to hold their third annual Tidal X: Brooklyn concert featuring headlining acts such as Jennifer Lopez and DJ Khaled that will benefit hurricane relief efforts.